In an ideal world, we would all eat generous quantities of fresh fruits and vegetables, sleep 8 hours a night, and minimize any exposure to environmental stresses or pollutants. For many of us, however, maintaining a pristine state of wellbeing is challenging, and we often need a little support to ensure we stay healthy and energized. Intravenous (IV) vitamin therapy has recently become a regular feature in wellbeing regimes, garnering praise from high-profile celebrities and clean-living advocates. IV therapy emphasizes the importance of healing the body on a cellular level, by delivering essential vitamins, minerals, and amino acids straight into the veins. Not only does it make you feel good, but it gives you a fresh glow from the inside out. IV vitamin therapy delivers a specialized combination of vitamins, minerals, antioxidants, and amino acids into the bloodstream. The body only absorbs 50% of vitamins ingested orally. Vitamins delivered through IV, on the other hand, are absorbed by up to 90%. This makes them more readily accessible to the body to maintain health and fight illness. What does IV therapy do that diet doesn’t? Depleted soils: Fruit and vegetables no longer have the quantity or range of vitamins and minerals that they did 50 years ago, with iron, vitamin B2 and vitamin C in particular decline. Even if you eat as cleanly and conscientiously as possible, chances are, you may still be nutrient deficient. IV vitamin therapy offers a bridge to ensure you receive all the vitamins and minerals needed for optimal health. Vitamin infusions take between 20 minutes to one hour to administer. During the treatment, you’ll be seated in a comfortable chair, and can read, relax or nap. A licensed medical professional will be on hand. Improving the symptoms associated with both acute and chronic medical conditions, such as adrenal fatigue, stress, burnout, chronic fatigue syndrome, viral illnesses, colds, anxiety, migraines, fibromyalgia, depression, and asthma. The Myers cocktail has been used for decades to enhance immunity, improve adrenal function, increase energy and bolster mood. It’s the perfect vitamin therapy if you’re looking for a mood booster, if you’ve been subject to chronic stress, or if you’re training for an event. If you’ve been ill with bacterial or viral infections, or have been repeatedly assaulted by chronic colds, the immune booster is your go-to treatment. The booster helps support immune function and accelerate recovery. It can even stop or alleviate an infection if you receive treatment as soon as you start to feel ill. This curiously named antioxidant is among the most powerful produced by the body and is vital for liver and brain function. Glutathione protects the body against damage caused by free radicals, inflammation, and environmental toxins. Increasing the body’s supply of glutathione helps with weight loss and memory enhancement, improves the tone and firmness of the skin, prevents disease, and helps to slow the signs of aging. Other antioxidants, such as Vitamin C and Vitamin E depend on glutathione for proper function. Glutathione also plays a vital role in detoxing the body by helping to transform chemicals, hormones, and toxins into water-soluble metabolites, which can then be readily excreted. This treatment is delivered via syringe, rather than drip. 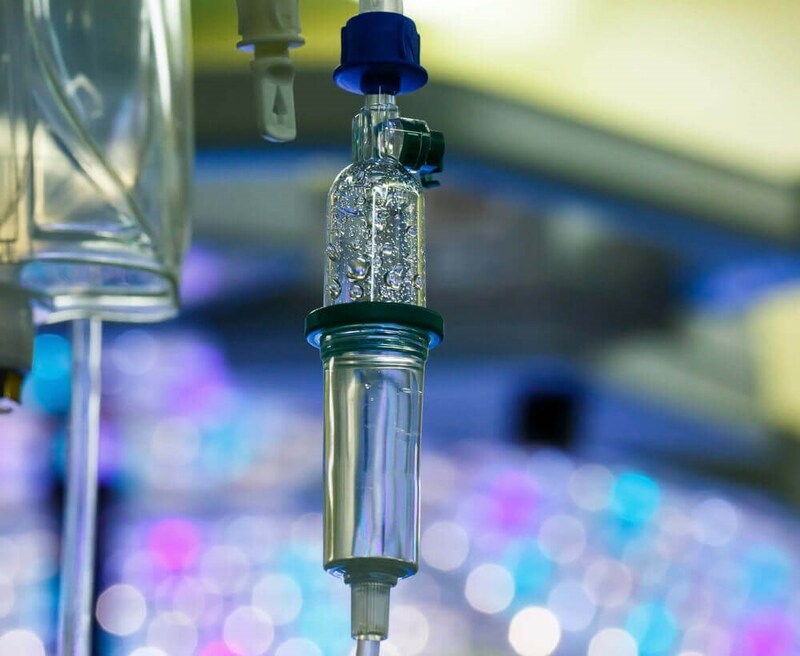 How often can you get IV vitamin therapy? The frequency of IV vitamin therapy depends on the individual patient, and the condition being treated. Many patients benefit from 1-3 treatments weekly, then may start to reduce the number of treatments as they notice their symptoms improve. Monthly maintenance treatments can help to safeguard optimal health. There’s no risk with regular IV treatments: the vitamins used are water soluble, and any vitamins that are excess to your body’s needs are simply excreted.